I have a few sweaters that do not have buttons to keep the sweater closed and finally found this adorable and very pretty little "FOX" sweater clip to hold my sweater in place. This is one of those kind of items you could look for in a store and never find except for in a catalog company like Miles Kimball!! Thank you for stocking such merchandise!!! 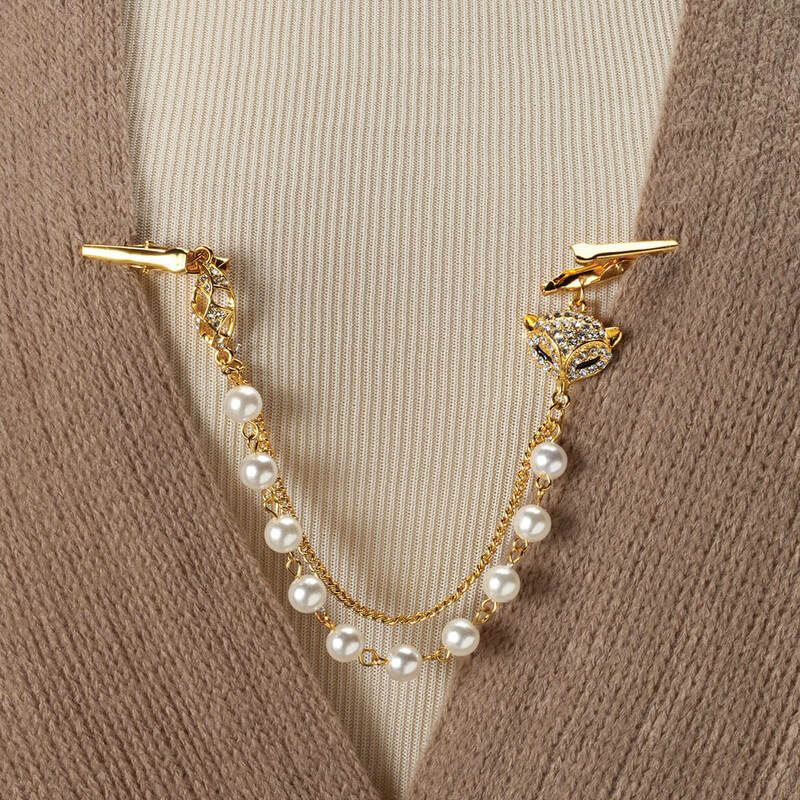 The pearls and the little fox with pretend diamonds make it a very charming little accesory item to treasure for a long time to come. Haven't had one of these since I was a young girl. I will wear this a lot. The sweeter chain came broken, but did get a replacement today which I appreciated. It isn't a good quality but will serve its purpose. Have been looking for sweater clips for years. Surprised to find them. I though it looked pretty. WHY IS IT IN YOUR CATALOG IF IT IS NOT AVAILABLE ? BEST ANSWER: Thank you for your question. We apologize for the confusion. The vendor did not ship the item. We hope this information will be of help to you.